Thank you so much for joining us on Hannover messe 2018. The exhibition was closed in a great success. We introduced B&PLUS wireless power technology of infinite creativity and flexible mindset at the exhibition. 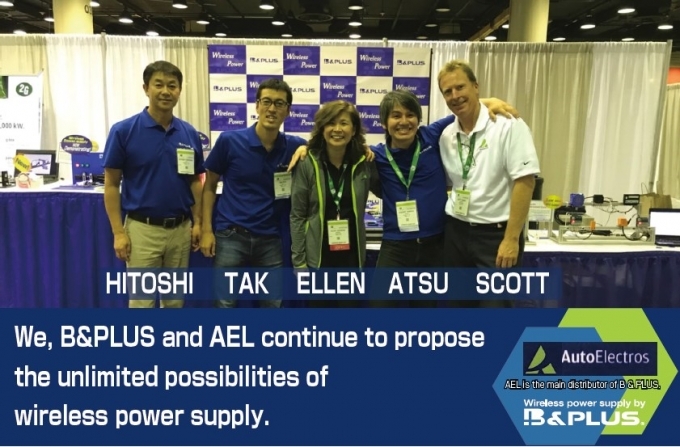 We will continue to propose a wireless power supply solution along with our main distributor in USA, AutoElectros. Also, you can acquire the advantages of wireless power if you visit our website.